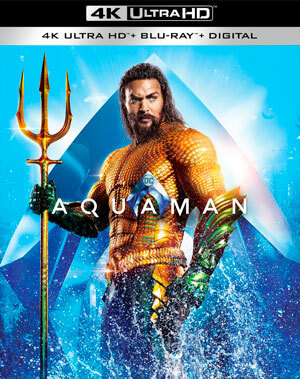 Warner Home Video has announced the upcoming release of Aquaman, planning to bring the superhero movie to 4K UHD, Blu-Ray Disc and DVD in late March. Aside from the feature film itself. 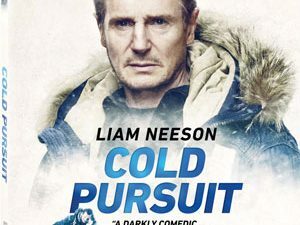 the release will also be packed with a host of featurettes covering a wide variety of aspects surrounding the movie’s production and its origins in the DC Comic books. Look for featurettes, such as Going Deep Into the World of Aquaman, Becoming Aquaman, James Wan: World Builder, Aqua Tech, Atlantis Warfare, The Dark Depths of Black Manta, Heroines of Atlantis, Villaneous Training, Kingdoms of the Seven Seas, Creating Undersea Creatures, and A Match Made in Atlantis to supplement your movie experience. In addition, you will find a number of Scene Study Breakdowns on the release, as well as an Exclusive Sneak Peek of Shazam!, the upcoming live-action feature film starring Zachary Levi as the DC Super Hero. Aquaman will arrive in stores on March 26 and can be yours for $39.96 on 4K UHD, $35.98 on Blu-Ray Disc and $17.96 on DVD.